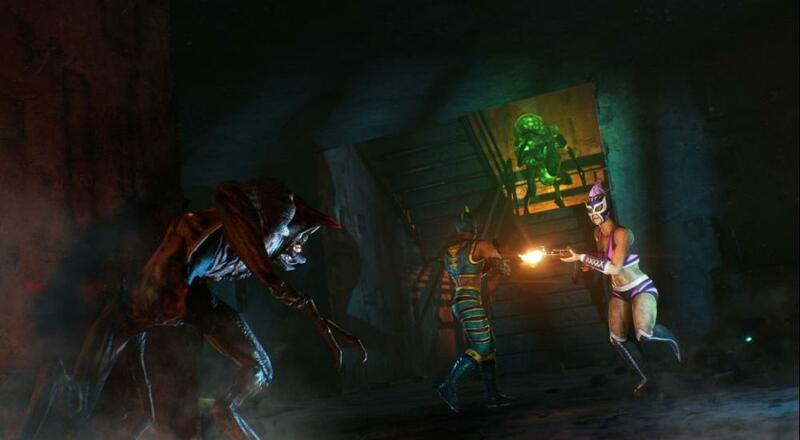 Earthfall and its four player online co-op first graced our presence back in July of this year, and the first person shooter has been churning out minor improvements ever since. These have all been well and good, but they pale in comparison to the "Invasion" update, which is out now. With "Invasion", Holospark has added a horde mode, a player progression system, four new maps, and all kinds of new skins to the game. Alongside that, they've completely reworked the weapon audio. There are definitely a lot of changes here, but thankfully, Holospark has also provided a tidy trailer to make sure you're not missing anything. The player progression system seems to be a great and much-needed addition, as it introduces both cosmetic and mechanical benefits for dedicated players. I'm not sure all those dangly bits they show attached to the guns are very helpful in combat, but if you've survived a deadly alien invasion, you've got to find joy somewhere, right? Earthfall is available on PC, PlayStation 4, and Xbox One. If you're curious about seeing it in action, be sure to check out our stream recap and impressions piece, which can be found here. Page created in 0.6239 seconds.